“It’s almost like a file cabinet in the cloud,” says George Pontikes, CEO of Satterfield & Pontikes Construction, about Assemble Systems, whose platform helps users manage bids, estimate costs, and plan and run projects and BIM across a project’s network of people and work. “It becomes a file cabinet,” says Todd Wynne, VP of Business Development and Partnerships with Bluebeam, who with his colleague Joe Williams, while both were at Rogers-O’Brien Construction, developed Atlas, a digital mapping tool that uses geo-location software to bridge the gap between 3D models and 2D drawings. Aside from their functionality, what distinguishes these tools is that both were incubated by AEC firms with an eye toward commercialization. While it’s common for firms to develop tools for internal use, the leap to marketing new products to the industry at large is still the exception. Thornton Tomasetti’s CORE studio is one of the more robust examples of an AEC firm that has set up an entity specifically to nurture ideas and evaluate their marketability. Other firms also want their creations to make a bigger splash. “Kieran Timberlake does only 10 to 15 projects a year, so internal use wouldn’t have the same impact of expanding a product as marketing it to the industry,” says Roderick Bates, LEED AP, Principal and Researcher, Environmental Management and Commercialization with Kieran Timberlake. The ideas that its KT Innovations incubation group has helped shepherd include Tally, a lifecycle analysis app. When Beck Group set up Beck Technology 23 years ago, its goal was to find ways for contractors and their clients to make decisions and outcomes more predictable. What emerged was Beck’s still-popular Destini suite of products that includes Profiler and Estimator. Here’s a roundup of six AEC firms who have incubated startups and spinoff companies aimed at commercializing tech tools for the industry. This reporter downloaded Visual Vocal’s app onto his smartphone and clipped on a device so he and SanGiovanni could view the software in action together. The app allows users to see behind a project’s walls, obstructions, and mechanicals, and to create a VV, or Virtual PDF, to add AR notations in real time. It also has a “time travel” feature that provides a historical perspective of the project or site, which SanGiovanni suggests could be useful for urban planners. Visual Vocal users can interact within the same hosted VR environment simultaneously, even if they’re in different offices or cities. This “mind merge,” as SanGiovanni calls it, can accommodate 20 people, although he recommends that any group sharing last only a few minutes at a time. For its 888 Tower on Second Avenue in Seattle, which is currently in its design phase (opposite), NBBJ used Visual Vocal’s program to get a more detailed, binocular view of the building’s entire atrium (above) and the structural system that created it. The software enabled NBBJ and developer Urban Visions to “simplify big and complex issues such as structural impact and the experience that resulted,” says NBBJ Partner Ryan Mullenix, AIA. Courtesy NBBJ. Origin story: During the decade before Visual Vocal got started, NBBJ had been exploring emerging technologies. Its hackathons produced tools like “Goldilocks,” which lets workers personalize their workspaces via a smartphone app tied to sensors around the work area. In 2016, NBBJ participated in a cross-disciplinary technology “mixer” called Cross Pollinate, where its Managing Partner Steve McConnell met SanGiovanni, who had spent seven years with Microsoft Research and, in 2007, co-founded mobile content marketing company Zumobi. SanGiovanni had launched Visual Vocal in 2015 with the technologist Sean B. House. When he and McConnell met, SanGiovanni was experimenting with using AR and VR as a communications medium. To help incubate the startup, NBBJ set up a steering committee and a VR/AR workshop. The first project to which the software was applied was a 900-foot high-rise in Seattle. Ryan Mullenix, AIA, a Partner and architect with NBBJ, recalls that in order to walk through something that tall, NBBJ layered different structural options into the program, and could show the client different and alternate spaces created by those options. NBBJ has used Visual Vocal’s software on several projects. For Louisiana State University, it presented a 12 million-sf master plan through the platform to show an expansive overview and before-and-after vignettes. 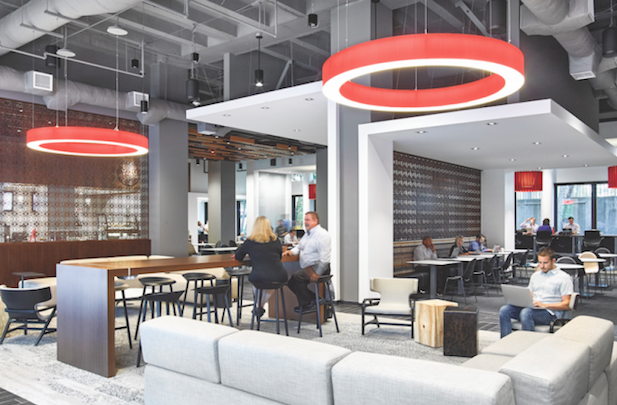 And for a project with tech firm F5 Networks—which is leasing 28 floors in the 44-story F5 Tower in Seattle—NBBJ used Visual Vocal’s platform to create in-situ examples that helped the client understand the benefits of design alternatives. Status: A subscription-based service whose costs per user start in “the low four figures,” says SanGiovanni, Visual Vocal’s software is currently in large-scale use by many construction and architecture firms such as Woods Bagot, Perkins+Will, and Stantec. The company is also allowing organizations to license the software. Last December, Visual Vocal added Mobile Authoring, where construction teams using any iOS or Android phone can produce high-res experiences on-site in less than two minutes to deliver actionable insights on jobsite progress. What it does: A software as a service platform for the healthcare sector, Pivotal helps users plan and optimize investment strategies by identifying opportunities and projecting returns. The service provides digital structures that facilitate active management, and metrics for performance evaluation. 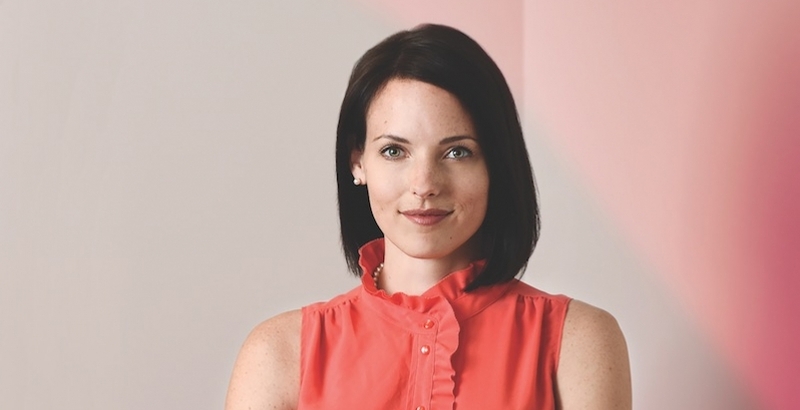 Origin story: Philadelphia-based Array Architects is 100% focused on healthcare. For at least a decade, the firm has been re-evaluating its role from the perspective of continuous improvement and Lean design, which led Array to evolve into an innovation-driven firm. Array recognized that every problem healthcare clients face when starting or planning a capital project is an opportunity to adapt, anticipate, improve, or transform. The firm’s organizational structure allows Array to facilitate that progression, focusing on outcomes rather than inputs. Array formed its Advisory Services group, and added numerous positions beyond architecture, organized into three buckets: strategic, organizational, and financial. This allowed the firm to look broadly at the future of healthcare and its need for greater standardization. “We almost had to reinvent the wheel on every project,” says Fady Barmada, Principal and Practice Leader–Advisor Services at Array Advisors, and Chief Strategy Officer at Array Analytics. Much of Array’s current focus has been on moving healthcare master plans beyond static representations of an organization’s strategy “that don’t take into account change as it’s happening, and don’t have the flexibility to respond,” says Barmada. Pivotal, Array’s first commercial product, is designed to provide the information needed for such flexibility and to empower better decision making. Array stated that Pivotal’s value had been vetted by more than 20 national health systems prior to the product’s official launch. Array Analytics’ Pivotal SaaS is helping healthcare systems deploy data to plot their investment strategies. The screenshot shown maps travel times from Davis Medical Center’s regional hospital in Arlington, Va., to possible locations for associated medical office buildings, with rush-hour traffic taken into account. Courtesy Array Architects. Status: On June 15, 2018, Array released a “lighthouse” version of Pivotal, which creates a simulation/predictive model to anticipate market changes. It ties into clients’ data, as well as public and proprietary information. “As the source data is streamed, financial data in the strategic plan is adjusted,” explains Barmada. This version of Pivotal is being tested by several healthcare systems (which he didn’t name). Array is also in conversation with other national healthcare systems for future testing. Array is using a pricing structure with the intent of creating measurable value equal to 10 times the annual subscription price, in the range of $200,000 after year three of development. What it does: Profiler’s features include 3D modeling, flexible data consumption, multiple project starting points, customizable reporting, and integrated analysis. When a 3D model is created, Profiler gives instant feedback on data such as energy, cost, life cycle, and scheduling. Estimator is a preconstruction tool whose features include unlimited sorting, 2D takeoffs, 3D takeoffs integrated with Autodesk BIM 360 or Navisworks, and comparison reporting. “Estimator was our response to estimators being asked to do an ungodly amount of work with a multitude of tools,” says Julie Huval, Marketing Manager at Beck Technology. One goal of Destini Estimator has been to unburden estimating managers whose jobs currently require a multitude of software tools to execute. Over the past three years, Beck Technology, Estimator’s incubator, has sold more than 1,000 licenses for Estimator. Courtesy Beck Technology. Origin story: Beck Group started Beck Technology in 1996, and funded it through a licensing agreement with one of the company’s construction divisions. During its first decade, Beck Technology’s work was exclusive to Beck Group’s needs. Stewart Carroll, Beck Technology’s President, recalls that in the years 2006-2009, integrated project delivery was a “hot topic.” Construction firms were assuming more risk, but at lower margins. The question Beck Technology was asking then: How can AEC disciplines integrate to produce a better product and still make money? Since Profiler was released, the industry’s rate of change has accelerated, he says, with technology as a catalyst to bring more value to customers. But, Carroll adds, there’s still no “single source of truth,” and many firms use eight or nine different software tools. “What we’re trying to do is bring more clarity and reduce the number of tools needed. We have an aggressive tech roadmap that we show to all of our customers,” he says. The main benefit of Estimator, says Hammer, is speed. And one of the reasons he likes working with Beck is “its willingness to listen to customers.” Two versions ago, Estimator didn’t have a “backwards math” function that could prorate costs simply. At its customers’ urging, “Beck added that feature,” says Hammer. Status: Beck Technology is self-supporting, with 60 employees, half of whom are in product development. Its Profiler platform has 40 enterprise customers, and there are more than 1,000 Estimator licenses in the market. As of last year, there were 35 companies using Estimator, which Beck wants to grow to 50 in 2019. “Beck Technology’s market penetration in preconstruction is only 1.5%, so there’s a huge opportunity for growth,” says Carroll. In 2019, Beck intends to integrate the functionality of Profiler and Estimator, and to develop complementary products. “Our Destini suite allows customers to get in with their clients earlier” in the design process, says Huval. She adds that, recently, Beck incorporated a data manager feature into both products. Beck Technology’s newest product is Destini Optioneer, a service that identifies trends across design variables, and highlights the pros and cons of multiple project objectives. 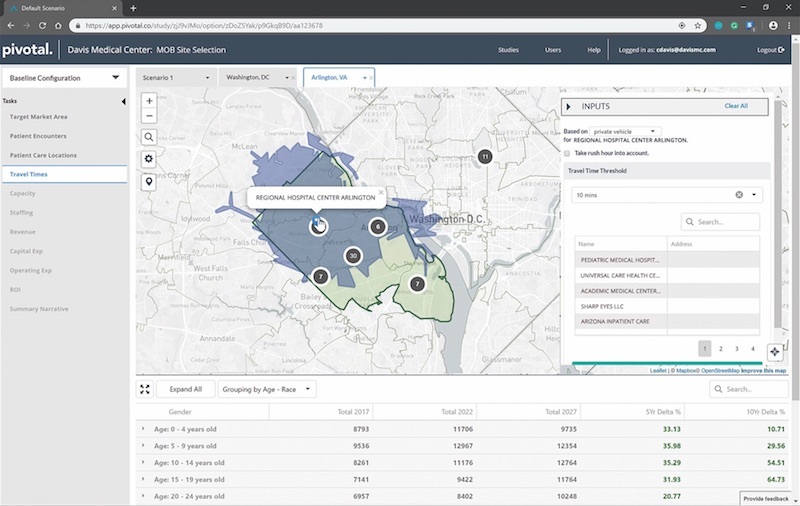 Beck claims that Optioneer can help users find the best location and orientation for their buildings, the optimal configurations for master plans, and the lowest capital cost without impacting a project’s design intent. What it does: Assemble Systems, based in Salem, Mass., provides an SaaS solution that acts as a hub, consuming building information models, drawings, and point clouds. 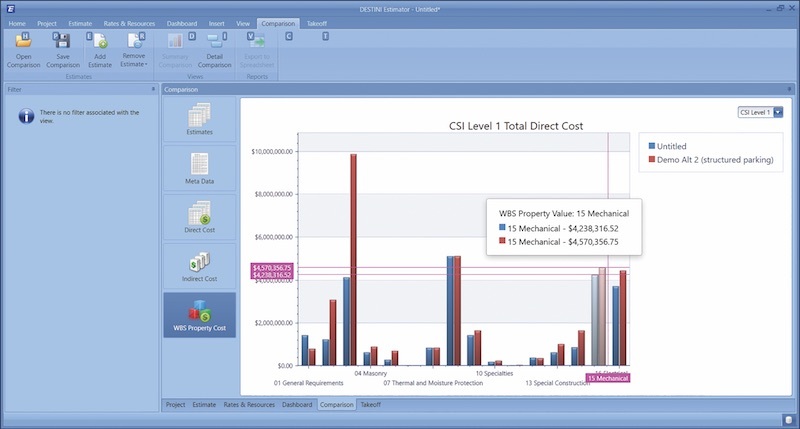 This solution enables construction professionals to condition, query, and connect the data to key workflows that include bid management, estimating, project management, scheduling, site management, and finance. Later, Pontikes was a member of an industry committee that explored interoperability and BIM. After two years, he set up his own working group within S+P. At the time, not many architecture firms were interested in designing in 3D, but he managed to find one willing to apply the technology. The first project they worked on together was a 65,000-sf office building that Pontikes says was completed and leased in 10 months. His company hired programmers to do an inventory of bid and permitting documents, and from that S+P created an inventory tool. Its intention was to use that tool internally until the firm was approached by a client with a similar budgeting problem on a $1 billion project in New York. Assemble Systems also used its inventory tool to come with its $100 million bid for a project for Texas A&M University that turned out to be $30 million lower than competing GC bids. “Our target was construction, period, and our motto was to keep it simple,” he says about the platform. Along the way, Assemble cleaned up its visualization tools and added a feature that filtered scopes and disciplines within projects. 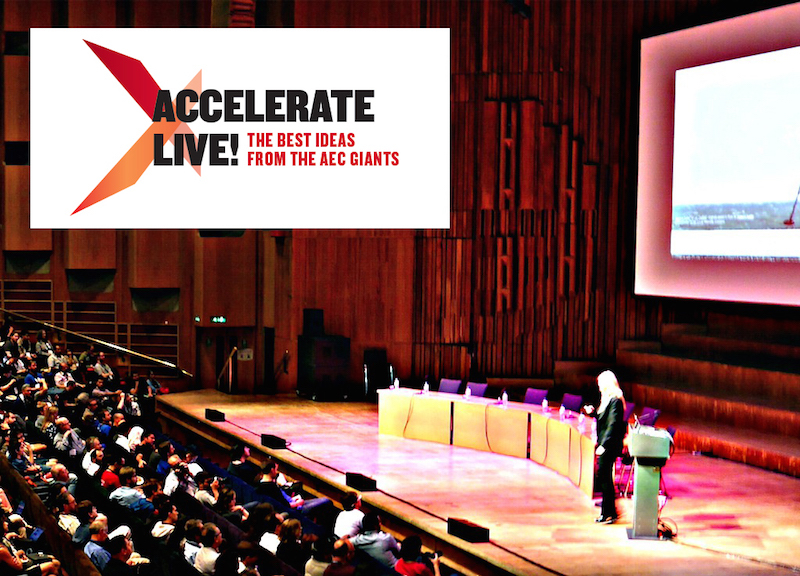 Autodesk was an early investor in Assemble Systems and helped S+P take the concept on road shows in the U.S. and Europe. Pontikes says his firm’s mercantile agenda for the tool started buzzing around 2010-11, and “got serious” when Autodesk expressed an interest in buying Assemble. Assemble Systems allows users to condition models (i.e., make them ready for use) by quickly grouping, sorting, and filtering quantities, including associated metadata, to connect those models to key workflows, such as bid management, estimating, project management, and scheduling. Shown is a model of an elementary school whose MEP systems are grouped by color code using Assemble. Courtesy Autodesk. Status: Effective July 3, 2018, Autodesk acquired Assemble Systems, with 55 employees in offices in the Boston and Houston metros, for an undisclosed amount. 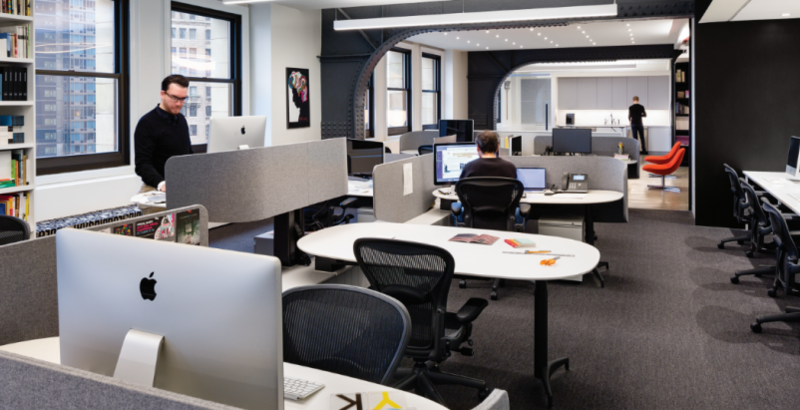 At that time, Assemble had 174 unique customers using its software across 1,000 sites, working on 12,700 projects. 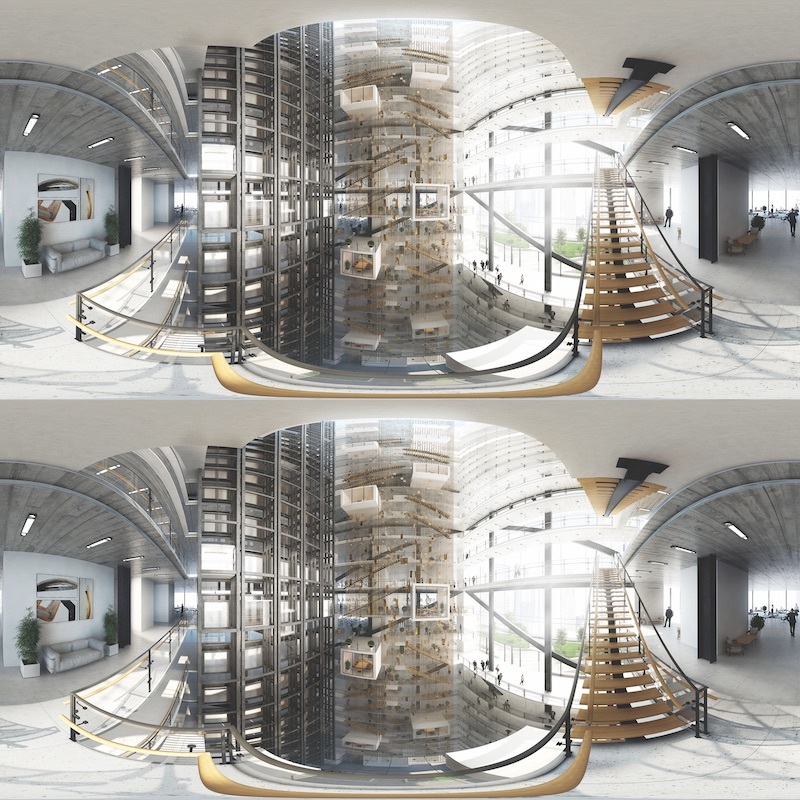 Autodesk intends to integrate Assemble Systems into its BIM 360 project management platform. 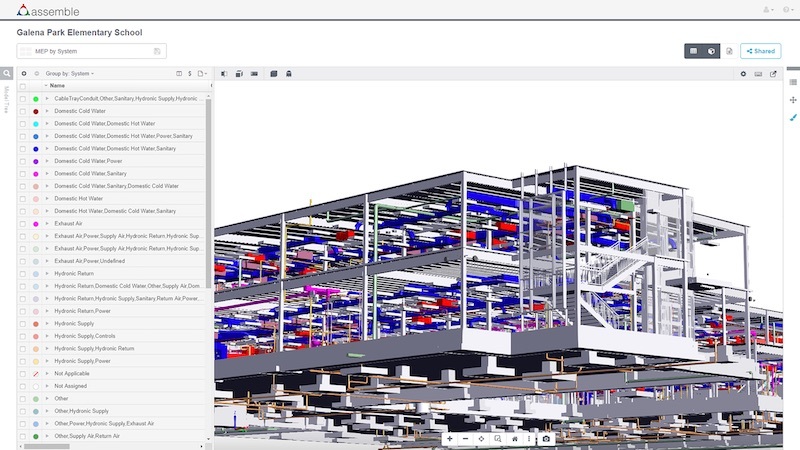 “Assemble Systems makes the data in Autodesk AutoCAD and Revit models and drawings more useful to construction firms,” says Don Henrich, former CEO of Assemble Systems and now head of Autodesk Construction Solutions’ Marketing and Field Operations. The platform, Henrich explains, is “really a query engine sitting on a very powerful SQL [Structured Query Language]. This allows users to request any representation of the data and have it delivered instantly.” And each time the design changes, the software automatically updates the quantities for all associated queries and data sets. How it works: Tally enables lifecycle assessment on demand throughout the BIM process, and tracks information across eight lifecycle impact categories that align with LEED v4 and other rating systems. Tally also allows for LCA to be incorporated into the design process. Tally is a life-cycle assessment tool developed by Kieran Timberlake’s KT Innovations development group. It uses a BIM plug-in to measure the environmental impact of different building materials, with the goal of accelerating the design process. Thinkstep provides the LCA information for this software, and Autodesk provides Revit API programming and training. Courtesy Kieran timberlake. Origin story: In 2013, the architecture firm Kieran Timberlake started KT Innovations as a separate development entity. Bates says he heard about KT when he was a student at Yale, and he and Billie Faircloth (now a Partner at the firm) submitted an idea for what became Tally to the company’s “Design For Deconstruction” competition. One of the first uses of Tally, Bates recalls, was to quantify the benefits of deconstruction. Using the software, KT did a virtual deconstruction of the 2,200-sf Loblolly House on Taylor’s Island on Chesapeake Bay in Maryland, a private residence that Kieran Timberlake designed in 2006, whose components were prefabricated offsite. The goal of this exercise, which was also KT’s first Revit project, was to determine what could be recovered and reused. The assessment, for example, found that one third of the house’s environmental impact was associated with its spray-foam insulation. Bates says that what separates Tally is real-time information it provides users to make materials decisions. Kieran Timberlake had limited resources to allocate to Tally, so the software is designed to require very little customer service. Tally was beta-tested in August 2013, publicly released as a free-trial software in November 2013, and made commercially available in 2014. During Tally’s development, Autodesk provided direct training in Revit API programming, and compatibility testing. The Seattle-based design firm Mithun was an early adopter of Tally, and participated in its beta testing. 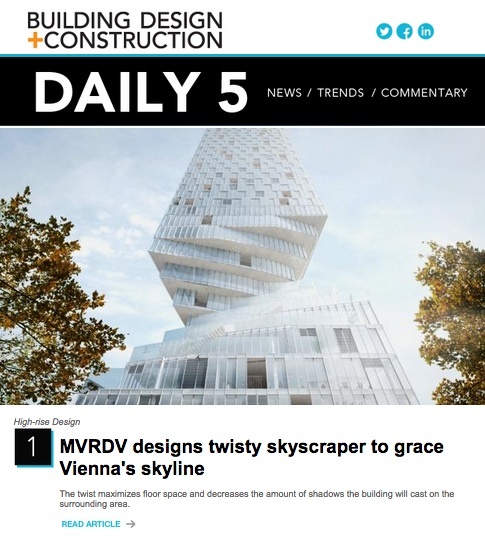 “We tried Athena beforehand, but preferred Tally for its Revit interface,” says Emily Anna Hagen, an Associate with Mithun. Last summer, the firm used Tally to determine which of the 20-30 entries in an internal competition had the highest environmental performance. Status: Bates says that, so far, Tally’s growth has been limited to AEC firms that do LCAs, “so our big push is to increase that universe.” Last year, Tally upgrades included biogenic carbon measurement. KT Innovations’ newest product, Roast, is in soft launch with a limited number of customers. Roast is a Web survey app that captures how occupants experience spaces by measuring comfort along variables like temperature, humidity, air quality, personal activity, and visual/auditory stimulation. How it works: Project Atlas, founded by construction industry veterans Todd Wynne and Joe Williams, is a digital mapping engine that uses geo-location instead of traditional folders to organize and visualize 2D plans and construction data. It bridges the gap between 2D drawings and 3D models by layering data on top of the map. By converting the drawings to zoomable layers, Atlas helps teams piece together information quickly. The following day, they filed a provisional patent on their idea, and spent the next several months conducting feasibility studies. They worked nights and weekends. Once they could prove their concept, Wynne and Williams approached Rogers-O’Brien for support and a bit of funding. “We wanted to use the company as our sandbox,” says Wynne. By early 2016, they were looking for investors and by midyear started assembling a development team. Aside from Rogers-O’Brien, beta testers included Mortenson, DPR, McCarthy, and Jacobson Construction. In 2017, Wynne and Williams formed Project Atlas, a development company. The digital mapping engine Atlas uses geo-location to organize documents and bridge the gap between 2D drawings and 3D models. Incubated at Rogers-O’Brien Construction, the product is designed to make it easy for construction managers in the field to convert drawings into detailed, zoomable layers. 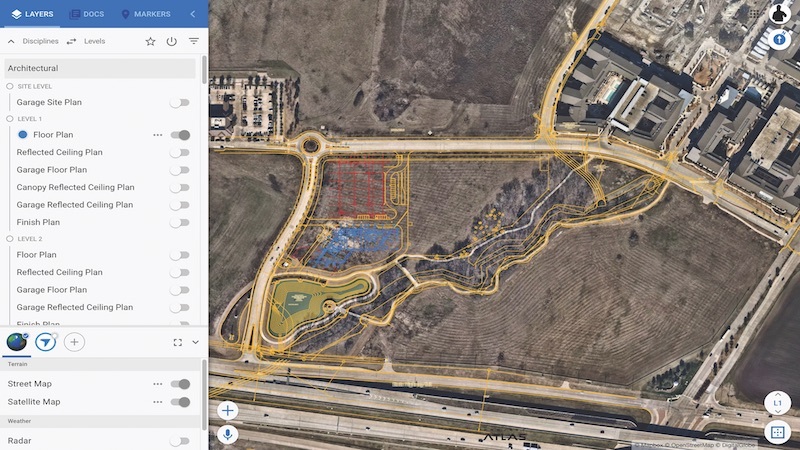 Its developers have dubbed the engine “Google Maps for construction.” Courtesy Bluebeam. Status: In June 2018, Bluebeam acquired substantially all of Project Atlas’ assets, including Wynne and Williams, who are now Vice Presidents with Bluebeam, whose software digitizes documentation. “What software providers didn’t realize at the time was that digitization isn’t enough; the field needs to find information quickly,” says Wynne. Atlas is currently in limited beta phase, as Bluebeam is pulling back on its commercialization so it can develop Atlas to support all of its products. The plan is to begin offering Atlas later this year. As for their leaving the company that incubated Atlas, Wynne and Williams say their former employer was understanding. “Rogers-O’Brien is one of our customers, and we still rent office space from them,” says Williams.